In 2018 Derek founded DeCosmo & Rolón and serves as managing partner. 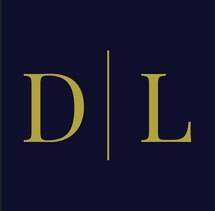 Decosmo & Rolón is a boutique immigration law and criminal defense firm. The firm specializes in handling the most complex deportation and criminal matters. I needed a lawyer for a criminal matter for my brother and for my immigration case. We both went to see lawyer Derek. Office had convenient parking and the staff greeted us with smile. We filled out a consult sheet and were seen by Derek right away. Derek walked us through the process of each of our cases and put our minds at ease. We made arrangements that day to hire Derek. He keeps us informed about our cases and what he’s doing on them.